Hakuba47 School Centre is located in front of the bus rotary. Please come to Hakuba47 School Centre 30 min before the lessons start. For guests renting gears, please come to the school centre to pick up your rental voucher before going to the rental shop 60 min before the lessons start. Booking in advance is advised to secure your lessons and to avoid morning hassles. Hakuba47 runs free shuttle bus service in Hakuba village. Our regular lessons starts from 10:00 and 13:00 so that please arrive at Hakuba47 30 min prior to the lesson starts. 1. Take the Shinkansen (bullet train) to Nagano Station from Tokyo, Ueno, or Omiya Station. It takes about 1.5 hours and costs 8,000 yen. 2. 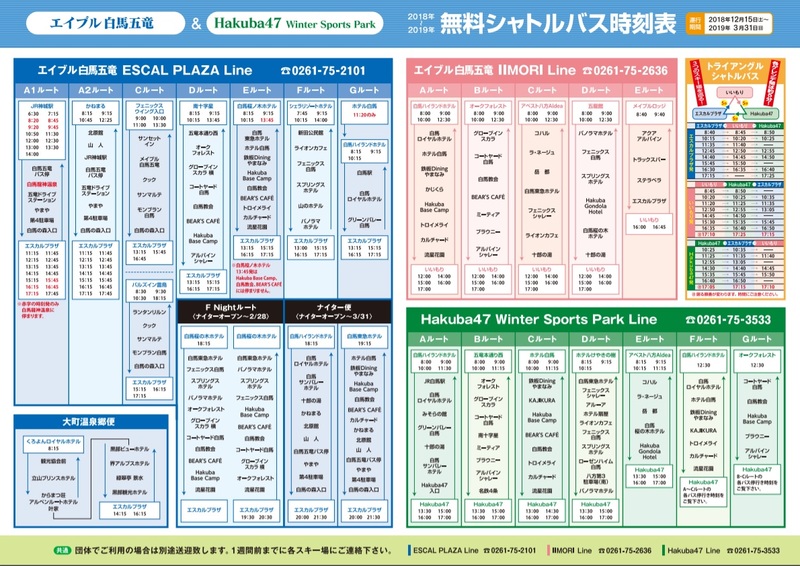 At Nagano station, go to the east exit and find bus stop #6. The bus terminal “BUSTA” is directly connected to the JR Shinjuku Station New South Gate (Just 2 Mins). School Centre is located beside the shuttle bus parking and kid slope with weekend snow escalator. 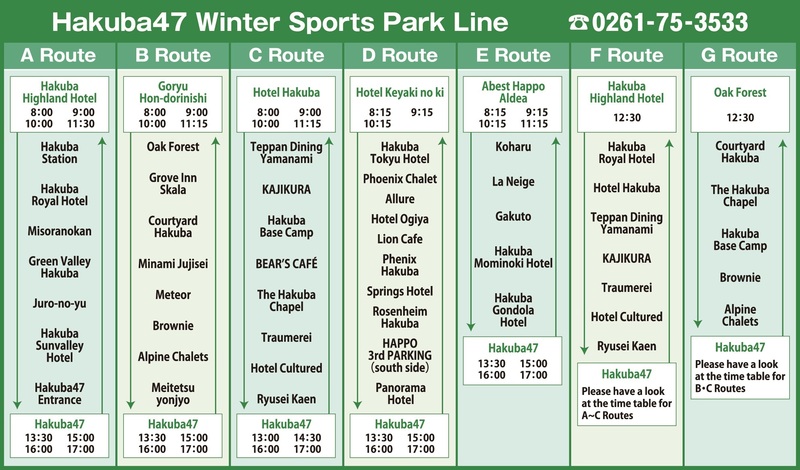 Hakuba47 Shuttle Bus Route & Time Table is available upon on your request. Chuo Taxi – No transfer from Narita to Hakuba. Chuo Taxi is the easiest way to travel. Bookings are available from 1 person and the price is set per person regardless of whether you are travelling alone or with a group. You must book 5 days in advance and the taxi will be waiting for you at the airport and will take you directly to your hotel. If you have luggage and children and are coming directly to Hakuba from the airport, this is probably the easiest way to travel.